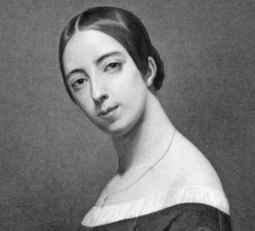 Born on 18th July 1821, Pauline Viardot was the younger sister of Maria Malibran. Trained firstly by her father, and then by Liszt, Pauline made her operatic debut, like her sister, in her Majesty’s Theatre London at the age of 18, singing Desdemona in Rossini’s Otello. In 1840 Pauline married Louis Viardot, the director of the Théâtre Italien in Paris. A devoted husband Louis provided her with support and security until long after the end of her career in 1863. 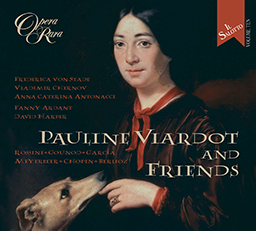 During retirement Pauline became a renowned teacher and composer, writing two books of songs, settings of Russian poetry, plus verses by Turgenev. Turgenev also wrote libretti for a series of operettas, set to music by Pauline, which were later staged in the theatre that he had built in his villa. The first was Trop de Femmes (1867), followed by Le Dernier Sorcier. In 1871 Pauline moved to Paris, which was to be home for the rest of her life. Here she nursed both Louis and Turgenev until their deaths in 1883. Pauline herself died peacefully on May 18 1910. 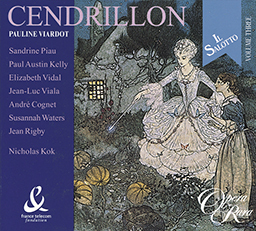 Her nurse during this period, Mlle de Nogueiras, was the dedicatee of Cendrillon (Opera Rara ORR212).